At JJ Mervin, we connect customers to your brand through scents. As a one-stop scent marketing service provider, we work closely with companies in the retail, hospitality and services sectors - helping businesses to integrate fragrances into their overall brand marketing strategy. JJ Mervin provides a complete end-to-end solution, from scent formulation to installation and maintenance of the scent system in your premises. No matter what your business is or what your products and services represent, we can help you to create the desired ambient scenting experience for your brand. Scent applications are not limited to customer fronting premises. Scent can also be used within your corporate offices to energize your staff. 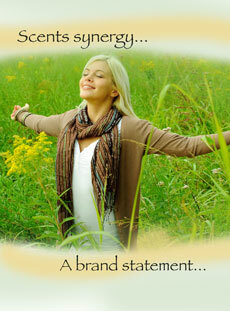 Research has shown that the right scent has a positive effect on the overall productivity of staff.